Matthew Carr is the author of several books of nonfiction, including Blood and Faith, Fortress Europe, Sherman’s Ghosts, and The Infernal Machine (all available from The New Press), and a novel, The Devils of Cardona. 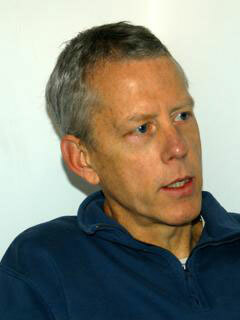 He has written for a variety of publications, including the New York Times, The Observer, The Guardian, and others. He lives in the United Kingdom. Tom Landendorf interviews Matthew Carr about refugees, migration, and Leftist politics. Matthew Carr writes on the European refugee crisis in the wake of the Paris attacks for Politico. The Guardian UK calls Fortress Europe a "very necessary book" in their review.